So it’s almost time for Wimpole Hall to be closed up and tucked away for the chilly winter ahead. Before that happens, however, we have one final weekend of excitement. So come along tomorrow, (Saturday 2nd) and Sunday 3rd of November to get your final glimpse inside the Hall. While the team in the house continue to wrap, pack and store the precious items, it’s now time for the house itself to be wrapped up safely too. 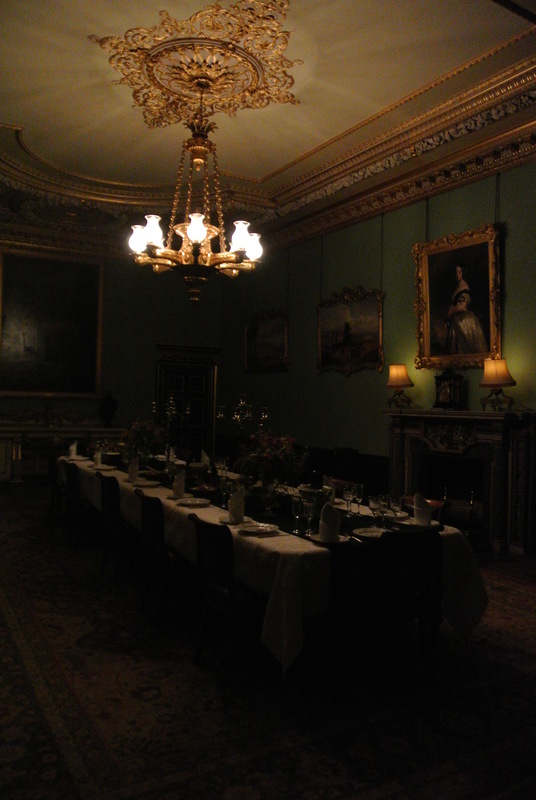 The weekend event is called ‘Day into Night’ and gives visitors the opportunity to explore the house as it looks in an evening setting. Shutters are closed, blinds are pulled and curtains are drawn as the Hall is lit with a beautifully atmospheric lamplight, really bringing the house alive. 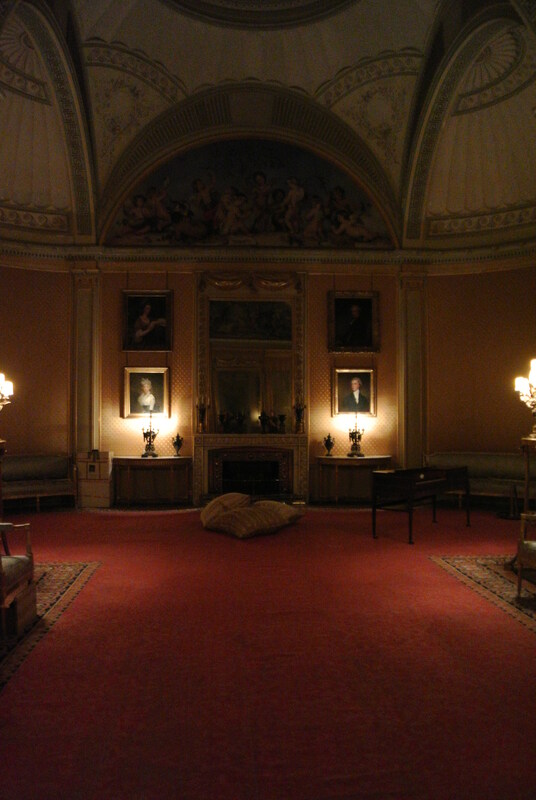 Not one area is left in daylight, and even the domed skylight of the yellow drawing room is wrapped in sacking fom the outside to prevent light pollution. The contractors working in the room below, who were suddenly plunged into darkness this morning, were slightly confused! But the final effect was worth it. 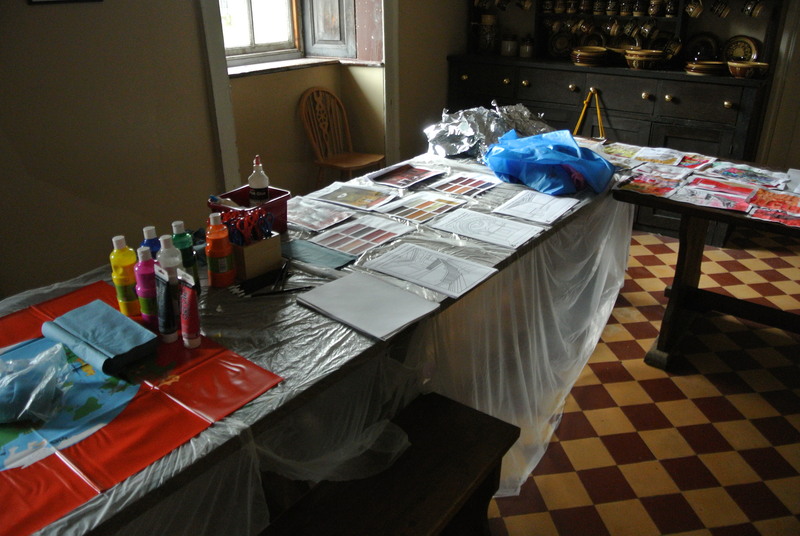 The paint matching activity is still taking place in the Servants Hall down in the Basements. The room isn’t usually open for public access, so it’s a great opportunity to explore a bit more. Adults and children alike have been getting creative, and having fun, mixing up colour schemes to match to the walls. It’s tricky business, but lots of fun, and a great chance to learn more about the process involved! This entry was posted in Events, Mansion by luciackersNT. Bookmark the permalink.